You might think that since chocolate bloom degrades the quality of a chocolate bar, cocoa butter on chocolate's surface is a bad thing. Think again. Cocoa butter covers the surface of many gourmet chocolates. That's because the decorations are made with cocoa butter. We learned this at the recent Seattle Chocolate Salon, where vendors handed out samples of their wares to try. 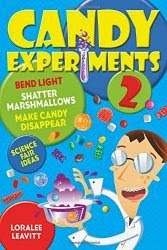 Many also spared a few minutes to answer questions from a curious candy experimenter. The creators of La Chatelaine chocolate explained to me how the cocoa butter was dyed and applied to decorate their truffles. Cocoa butter coating doesn't degrade the taste at all--it was a real test of will to save these truffles for photographs before I could eat them. They taste as good as they look. Amano Chocolate also had gorgeous truffles. Apologies to the vendors whose wares I couldn't feature--I couldn't afford a box from everybody!